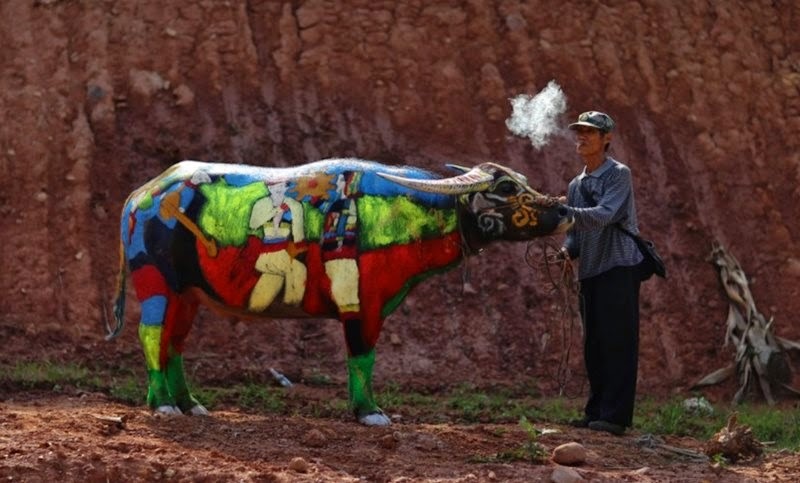 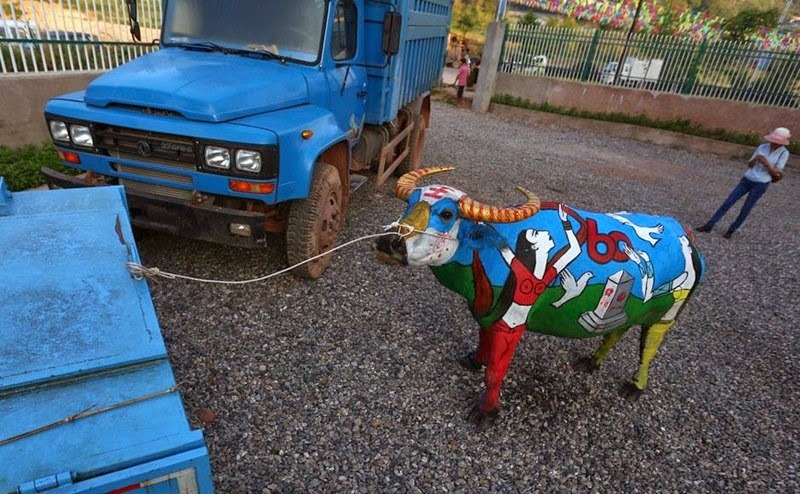 An international buffalo body-painting competition has become an unlikely sensation in Pu'er, Yunnan Province. 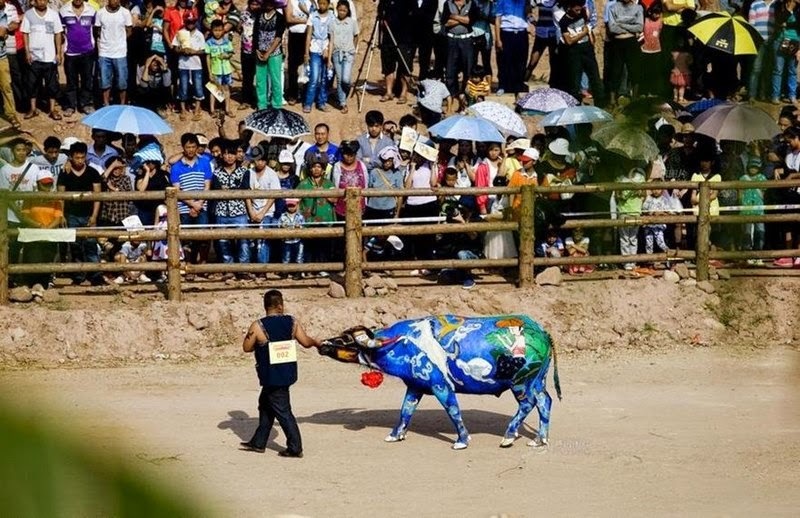 Artists from eight countries took part of the annual contest held in Jiancheng County on May 18, reported Sina News. 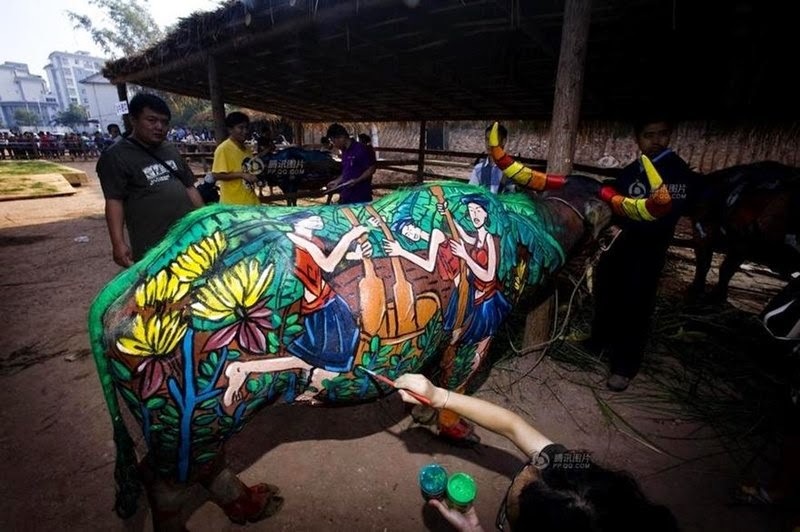 A total of 48 water buffalo's were covered in brightly colored body paint. 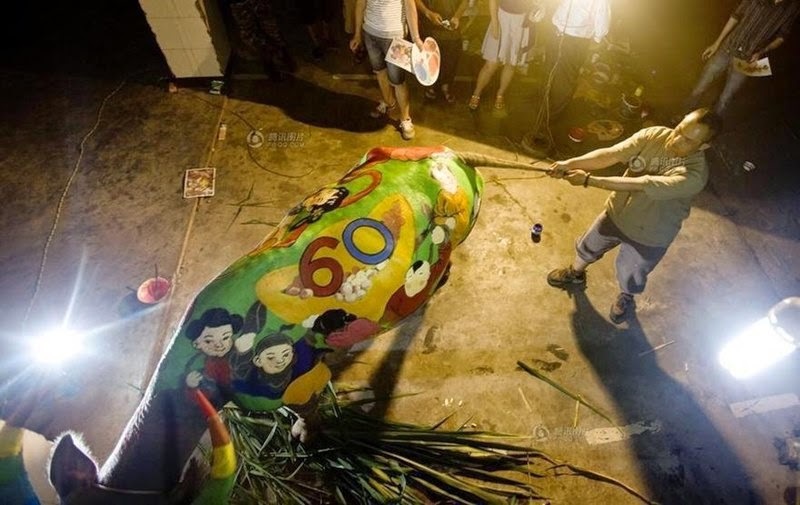 The first place prize of 100,000 yuan (US$16,026) was won by a team of local schoolchildren. 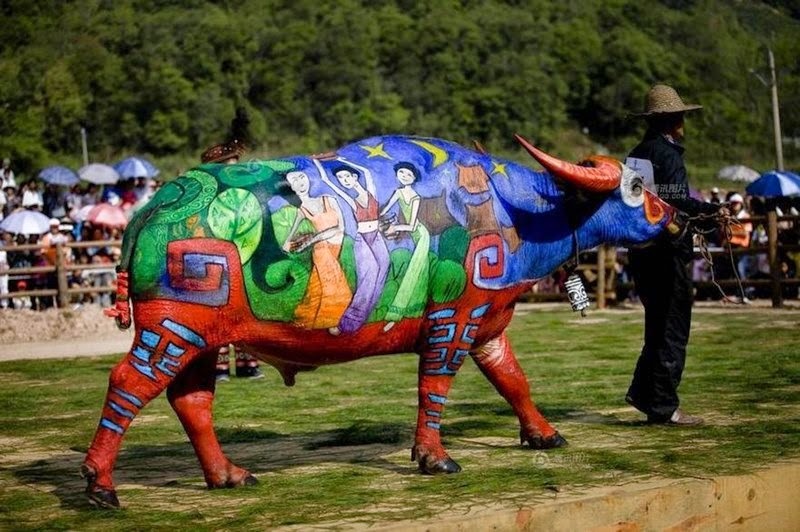 Painting on the buffalos is an ancient custom in Jiancheng. 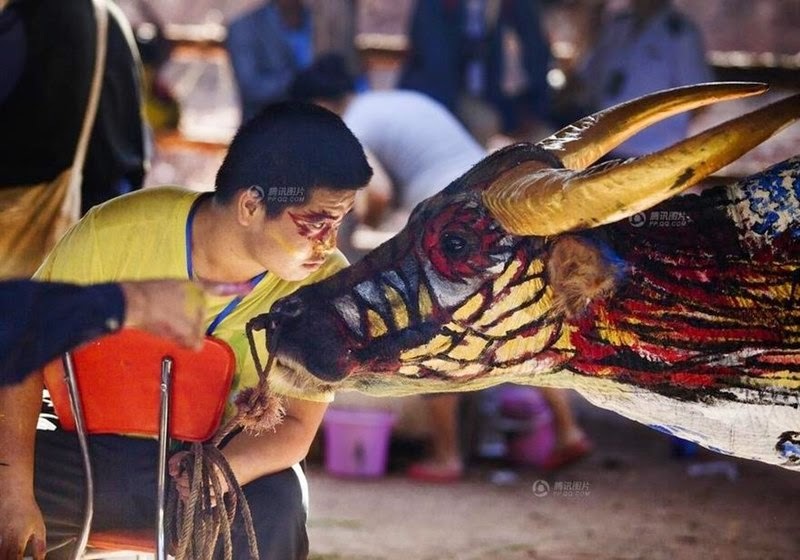 According to legend, a villager once saw his water buffalo getting attacked by a tiger. 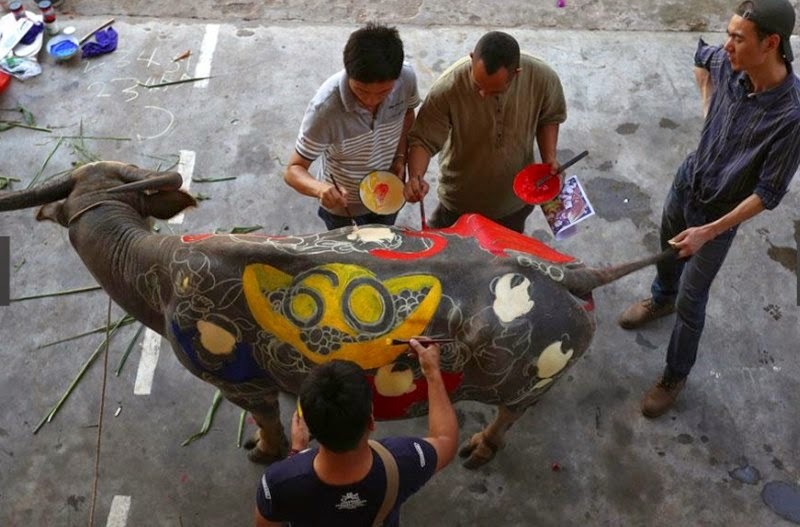 As the creatures rolled around on the field, mud and blood covered the buffalo's body. 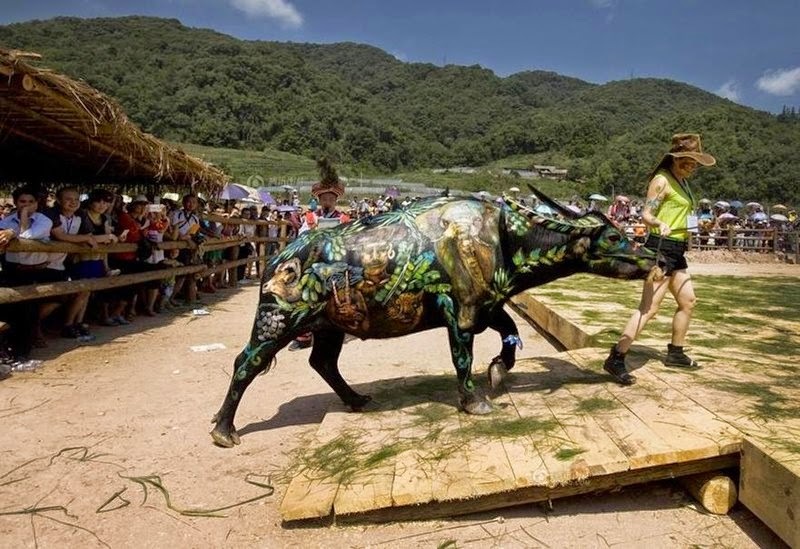 The bull looked so terrifying that the tiger got scared and ran away. 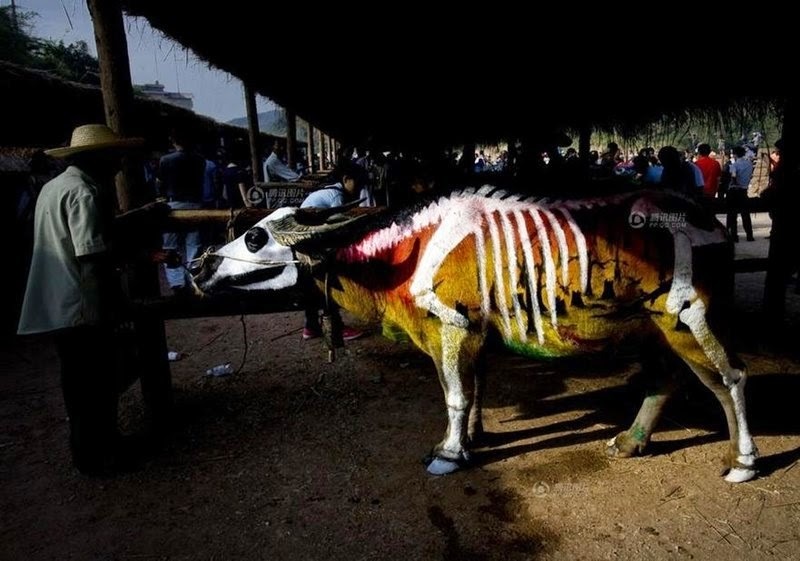 After that locals started painting on their cattle to keep the predators away. 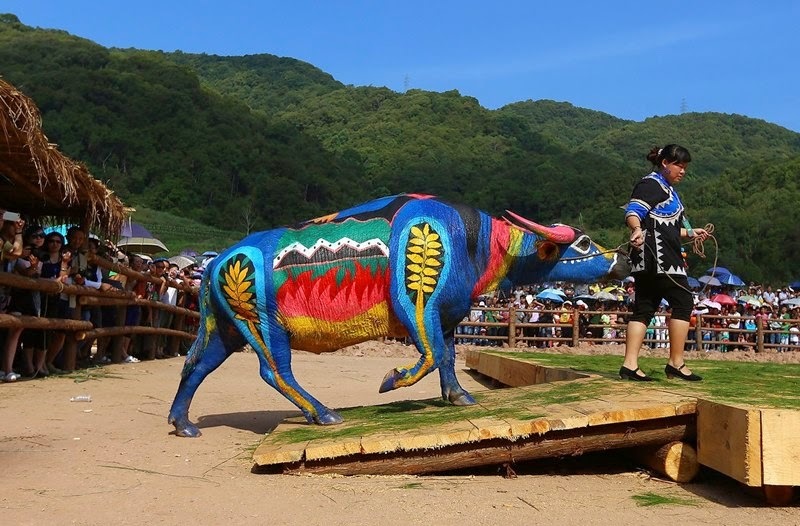 The tradition developed into a popular festival held each year to celebrate harvest and honor the cattle. 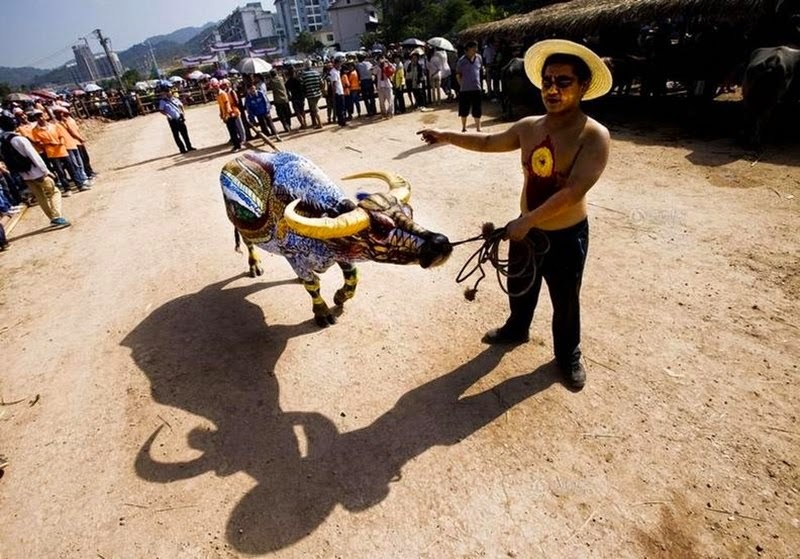 Visit Rite Book's profile on Pinterest.